Ask 100 homeschoolers which question they get asked the most from people who do not homeschool and they will tell you that it is “What about socialization?”. Homeschoolers generally answer politely and begin to list off all the things their kids are involved in. Can you imagine if homeschoolers asked everyone they met who contracts out their children’s education “What about bullying?”. 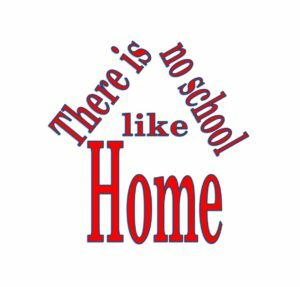 Homeschooling is exploding, more and more families are fleeing government schools, the reason used to be that they were not receiving an adequate education, now it because they are not receiving a safe education. Bullying has become an epidemic and has mutated to something beyond what bullying was like when we were young. Adding insult to injury, is when those being bullied stand up for themselves, because nobody else will (no teacher, no principal), they get in trouble, while the tormentors are left alone. A friend who homeschooled said she would respond to that question with “Have you ever seen Lord of the Flies?”. in the real world, the world our children will exist in when they leave the nest, they will have to communicate and interact with people of all ages, all different backgrounds. Most of them will not spend their lives in a room, at a desk, with 25 other people their own age. For some reason people have this idea in their heads that as soon as a family begins homeschooling, suddenly the children have zero contact with the outside world, they are no longer permitted to talk to or make friends, they no longer play sports or take music lessons. There are going to be introverts and extroverts everywhere, in homeschools, at government schools, at the workplace, at church. But for some reason, there is a stigma attached to homeschooled introverts (after all, they are only introverts because they have not had any socialization…) … and homeschooled extroverts (if they are extroverts, surely it is because they have been starved of socialization, right?). Yet, an introvert in a government school is just “shy”, and extroverts in government school are just hyper, and heavily medicated (on synthetic meth) as a result. So why is it, that people feel that it is appropriate to ask homeschoolers about “socialization”, as if government schools were designed for socialization not education? And what kind of socialization is going on in government schools that so many young people are taking their own lives? Have you seen the Lord of the Flies? Have you seen what it looks like when human nature in adolescence goes unchecked? Government schools have become a breeding ground of vicious hate, self -doubt, drug use and abuse (not just illegal drugs, how many kids in government schools are on synthetic meth, -often at the recommendation of a teacher-? ), anti-Christian rhetoric is rampant just not in the schools, but in the curriculum… Government schools have become a safe haven for tolerance of everything that should be intolerable. 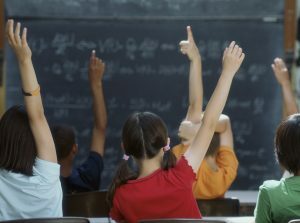 What kind of “socialization” are government school children receiving? Have you seen ANTIFA? If that is proper socialization, I don’t want my kids having any part of it. Somehow, though “improperly socialized” my oldest daughter has two jobs in customer service, played volleyball and basketball in middle school, was an assistant basketball coach for UPWARDS, was a CYIA missionary, has taken several college classes, bought her first car with money she earned, and has friends from all different areas of her life. My second oldest was in boxing and has played tee-ball, football, and basketball. He is still friends with the boys he has been friends with his whole life, his friends come over almost everyday after school, and in the summer the boys are usually together at one of their houses, or the park. He has taken a college class, he has attended cyber science camp, and Alive at 25. He is my introvert but can still carry on an intelligent conversation with anyone of any age. My third is on two different drumlines (homeschool and intermediate), has played soccer and basketball. He also participates in a drum circle. He can operate heavy equipment better than most men and enjoys going to work with his dad whenever he can. He listens to conversation and may seem quiet, but when he has something to say, he will say it. My youngest is in a ukulele class, and figure skates. If she could live at the ice rink she would. She doesn’t know a stranger, and always offers to help people (of all ages) who appear to be struggling. She loves teaching people how to do things she has learned, and just skating alongside people and “chatting”. She can and will carry on a conversation with anyone who will listen to her, and loves making people laugh. Homeschooling allows my children more opportunities to socialize than an unnatural environment where socialization is scheduled, socialization that in many cases is toxic. My children may not be “socialized” the way government school children are, but I don’t see that as a bad thing.